Grayson, now 8.5 years old, is doing great! Grayson is in second grade, loves learning, and has a love for math and will tell you about it too after greeting you with the biggest, warmest hug you have ever had. 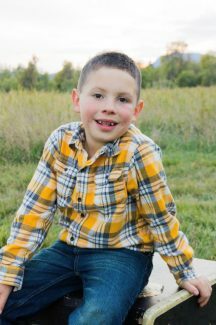 Since Grayson was diagnosed with a cancerous brain tumor Grade 2 astrocytoma in October 2014, Grayson has endured countless trips for check ups and 30 rounds of Radiation, 1 &1/2 years of Chemotherapy, 3 years of daily taking a targeting drug, which helped keep the tumor from growing. 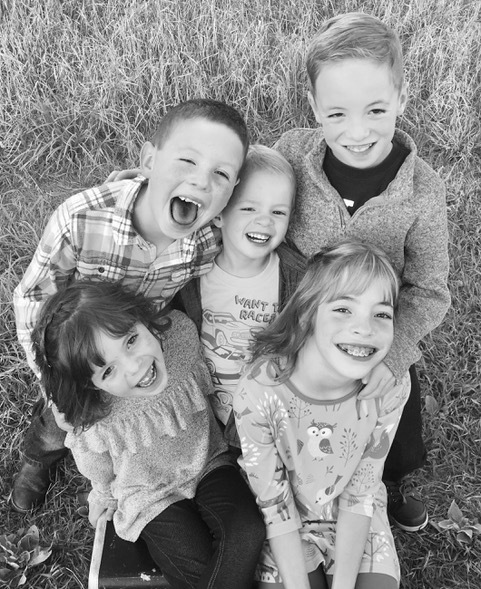 Last December 2017, we switched from the children’s hospital in Minneapolis, MN to a children’s hospital in Denver, CO. Our new to us team of Doctors in Denver decided to take Grayson off the targeting drug and see if the tumor would remain “stable”. So, far since December 2017, Grayson has done amazingly well while being medication free. He is loving the “normal” life and we pray it continues. Grayson continues to travel to Denver CO every 3 months for check-ups with the amazing team of doctors there at Children’s of Colorado. 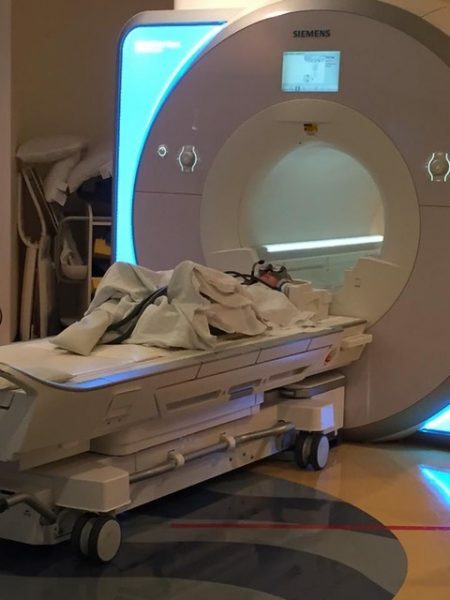 He continues to play the “freeze game” (no sedation needed) for the 45 minutes MRIs, just like he did at the start of his medical journey when he was only 4 years old. Grayson demonstrates to everyone around him, including his family, just what it looks like to “count it all joy” like James 1:2 talks about. He has a level of patience that most of us work on all our lives. Grayson’s next MRI and Doctor appointment will be in the middle of April. Grayson’s Pop Tab collecting that he started November of 2015 has turned into something much bigger than we ever imagined! It is now called “Grayson Chapeau’s Pop Tab Challenge” and is reaching far beyond our wildest dreams, and we have a feeling that it will only continue to grow as Grayson’s passion for it grows. Grayson’s Pop Tab Challenge is now something that takes place at all our local Spearfish schools as well. And Grayson is becoming widely known as “The Pop Tab Kid” aka Golden Goody Grayson Carl Superhero Ninja Turtle Chapeau. If you remember from the article a few years ago, Grayson had a big goal of 100 POUNDS, after donating 88 pounds to the Upper Midwest Ronald McDonald House in Minneapolis, MN. Because of you and many others “pulling together” Grayson collected 433 POUNDS of aluminum pull tabs, which is amazing! After dropping that load off at the Upper Midwest RMH in Minneapolis. Grayson set his new goal to 500 pounds! 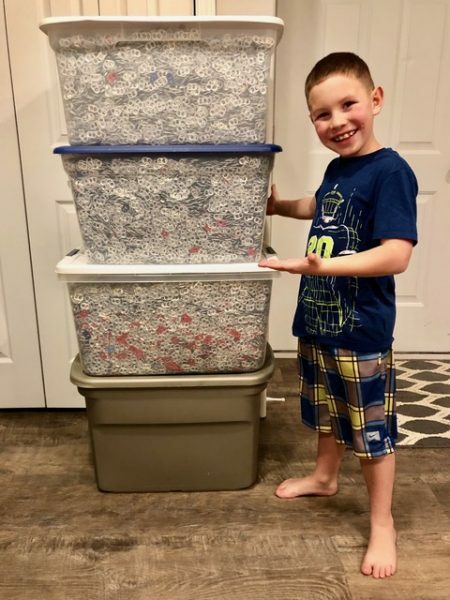 Well, in March of 2018 Grayson (with help from his parents) weighed totes, bags, and boxes of pull tabs, with amazement his goal of 500 pounds was crushed by 867 pounds of those little aluminum pieces! We managed to fill ALL 867 pounds in our Toyota Sienna van and drove to Denver from Spearfish, SD. What a haul! But what a reward! We donated them to the Ronald McDonald House in Downtown Denver. Needless to say, they were beyond amazed! On our way home from that trip, Grayson was already dreaming bigger! His new and current goal is 1,000 POUNDS of pop tabs (beer pull tabs, energy drink-includes colored pull tabs, sparkling water pull tabs…) Which is 1/2 a TON! Currently, we plan to donate this new goal weight this September, during Childhood Cancer Awareness Month. Which is perfect as we have been so driven to spread the word not only about Grayson’s Pop Tab Challenge, but also about Childhood Cancer Awareness. Did you know that childhood cancer ribbon color is gold?! Anyway, we know this 1K goal is totally reachable when people “pull together”! “Alone we can do so little, together we can do so much.” – Helen Keller… This is so true! Together we ARE making a difference for families that use Ronald McDonald House Charities which is a “home away from home” to countless families on their own medical journeys. Your pop tabs can be delivered to Tri-State Livestock News office in Belle Fourche, South Dakota, or you can visit the Facebook page Prayers for Grayson Chapeau for more locations. 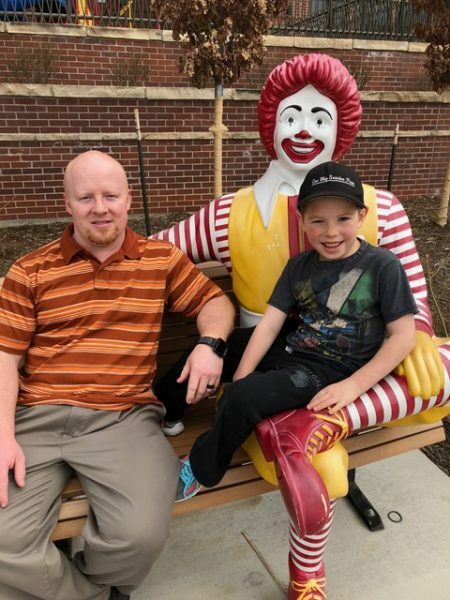 If you aren’t local to western South Dakota, consider donating your pop tabs to your local Ronald McDonald house. Your little tabs can do a lot of good!